Contrary to popular belief, both Democrats AND Republicans have had a long history of ensuring that Americans have access to coverage for preexisting conditions. In fact, a bipartisan piece of federal legislation requiring coverage for preexisting conditions existed long before the implementation of the ACA – Affordable Care Act, known colloquially as “Obamacare”. Public law 104-191 also known as HIPPA – Health Insurance Portability & Accountability Act – of 1996 outlined in sections 2741, 2742 and 2744 the role that both health insurers and state regulators must play in ensuring coverage for those with preexisting conditions. That law was supported by both Democrats AND Republicans for more than a decade before Obamacare. Not long after HIPAA was signed into law, states began developing one or more state run risk mitigation mechanisms to ensure that those in the individual health insurance marketplace were ensured access to coverage for preexisting conditions. 35 states decided to develop High Risk health insurance pools. In Illinois, our High Risk health insurance pool was called ICHIP – Illinois Comprehensive Health Insurance Plan. The existence of ICHIP ensured that Illinois residents who purchase their own individual health insurance were guaranteed coverage for preexisting conditions long before Obamacare. In order to qualify for ICHIP coverage one would have to have been denied coverage from a health insurer in the individual marketplace due to a preexisting condition or have exhausted COBRA continuation coverage from a former employer. 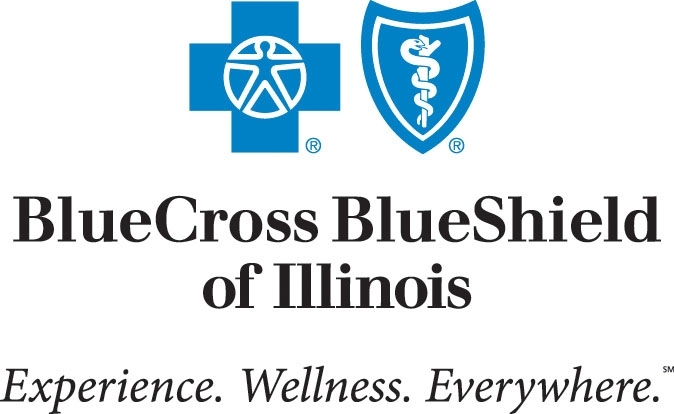 If that individual applicant had kept consistent health insurance coverage without a lapse of more than 63 days, they were guaranteed immediate coverage from Blue Cross Blue Shield of Illinois via ICHIP. If they had a lapse in coverage of more than 63 days, they would have to wait up to 6 months before preexisting conditions would be covered. These regulations provided a strong impetus for consumers to keep consistent health insurance coverage in place. This prevented applicants from ‘gaming the system’ by waiting until they were sick to purchase health insurance coverage. You probably noticed something familiar about how Ohio’s annual “open enrollment” period. You should, because that is how risk in the individual health insurance marketplace is managed today under the ACA. We now have a national ACA open enrollment period which begins on November 1st and ends on December 15th of each calendar year. During this 45 day window, all Americans can purchase individual health insurance regardless of their health history and preexisting conditions are not excluded from coverage. Why though is this annual open enrollment window only 45 days long? Why can’t we just buy health insurance whenever we want? Why do we have to wait until November each year? The reason you cannot do so is because if you were allowed to buy health insurance whenever you want, no matter how sick you may be, you would simply wait until you were sick to buy it and you would have no impetus to keep that coverage after you received whatever medical treatment you were seeking at the time. This is akin to buying home owner’s insurance after your home burns down or car insurance after you wreck your vehicle. Allowing such behavior would rapidly bankrupt all health insurers in a very short time. The purpose of “insurance” is to manage future risk if and when it may occur. It is not to absorb all risk as it occurs. It is the consistent payment of monthly premiums by multiple policy holders which allows insurers to build the necessary financial reserves from which to pay your claims if and when they may occur. This is why the annual ACA open enrollment period is restricted to a 45 day window once a year. It forces Americans to keep their health insurance coverage in place throughout the year to ensure they keep consistent coverage for preexisting conditions between open enrollment periods. Consistent payment of those premiums allows the health insurers to build the necessary financial reserves to pay your claims if and when they may occur. The aforementioned preexisting solutions to preexisting conditions were only two of the types of protections that could have been implemented had the House Republican’s “American Health Care Act” survived Senate scrutiny or, if the Senate “Better Care Reconciliation Act” had survived John McCain’s 2 a.m. thumbs down vote. Both bills provided solid protection for consumers with preexisting conditions. Page 45 of the American Health Care Act created the “Patient and State stability fund” which outlined on page 51 more than $100 billion over the first 8 years for states to re-establish state run High Risk health insurance pools or other state and federally run risk mitigation systems. This is nothing new. In fact, our Illinois health insurance exchange is a state/federal partnership exchange. Both entities working together to ensure coverage for preexisting conditions. So, the evidence proves that Republicans not only want to ensure preexisting conditions are covered but they are also willing to allocate many hundreds of billions of dollars to ensure that they are. The evidence also proves that we did not need Obamacare to ensure coverage for preexisting conditions. The states already had risk mitigation systems in place long before Obamacare and those systems or similar systems could be implemented once again. The question is not if Republicans want to cover preexisting conditions. The question is how they are to be covered going forward. Mandating that health insurers cover preexisting conditions is fruitless if there are no health insurers left to provide said coverage for preexisting conditions. So many health insurers have exited the individual health insurance marketplace since Obamacare, including the nation’s largest health insurers, United Healthcare, Aetna, Humana, Anthem Blue Cross etc. This has left states like Indiana with only one health insurer left for those who purchase individual health insurance and that carrier only offers a small HMO option. State based risk mitigation systems currently employed via ACA waivers granted by the Trump administration. Alaska applied for and was (finally) granted a 1332 waiver from CMS on July 11, 2017. That waiver allowed Alaska to separate the most expensive consumers from the rest of that state’s risk pool and as a result health insurance premiums dropped significantly this year. They will drop even more next year. Wisconsin applied for and received an ACA waiver allowing them to create a state based reinsurance program sponsored in part by the Federal government. The “Wisconsin Health Care Stability Plan” will pay 50% of insurers’ claims between $50,000 and $250,000. The state projects it will spend $34 million of its own funds for these claims next year, with the rest coming from the federal government. The feds, however, aren’t expected to shell out any new money because reinsurance also helps the federal government. The lower rates mean it will spend less on premium subsidies for those who qualify. Those savings will be redirected to the stability plan. These are just two examples of how state’s can better manage risk at the local level by being granted waivers from the “one size does NOT fit all” government take over of the American health care system known as “Obamacare”. There will be more to come thanks ONLY to the leeway allotted to state’s by the election of President Donald J. Trump. President Trump’s D.O.J. has chosen not to defend Obamacare against the latest legal challenge to it led by Texas and 19 other states. That case argues (legitimately) that since the SCOTUS found the “Individual Mandate” constitutional in 2012 by defining it as a “tax” and later Republicans passed tax reform which included repeal of the Individual Mandate. The Individual Mandate can no longer be constitutional because there will be no more penalties assessed for not buying health insurance as of January 1, 2019. The D.O.J. is also arguing that two other Obamacare provisions should be struck down — one requiring insurers to cover those with preexisting conditions AT THE SAME PRICE AS THOSE WITHOUT PREEXISTING CONDITIONS. The Leftist media cabal reporting on this case conveniently leaves that last part out. That does mean that if the state led case against Obamacare succeeds, that preexisting conditions would not be covered. It simply means that those with certain preexisting conditions could pay more than those without preexisting conditions which is how the system worked prior to Obamacare. No lying Leftists, Trump is not trying to “end coverage for preexisting conditions“. His D.O.J. however has chosen not to defend Obamacare against the latest legal challenge to it led by Texas and 19 other states. That case argues (legitimately) that since the SCOTUS found the “Individual Mandate” constitutional in 2012 by defining it as a “tax” and later Republicans passed tax reform which included repeal of the Individual Mandate. The Individual Mandate can no longer be constitutional because there will be no more penalties assessed for not buying health insurance as of January 1, 2019. The D.O.J. is also arguing that two other Obamacare provisions should be struck down — one requiring insurers to cover those with preexisting conditions AT THE SAME PRICE AS THOSE WITHOUT PREEXISTING CONDITIONS. I put that last part in caps because the lying Leftist propagandists at Politico, WAPO and every other Left wing rag have left that important part OUT. The truth is, if this legal challenge prevails (and that’s a BIG if) those who have preexisting conditions would simply pay more than those without preexisting conditions and coverage for preexisting conditions would still exist as it did for decades before Obamacare. For responsible reporting on this issue read the following article from the Washington Examiner.